The day that many Sprint customers have been waiting for is finally here: the arrival of the Samsung Galaxy Nexus. 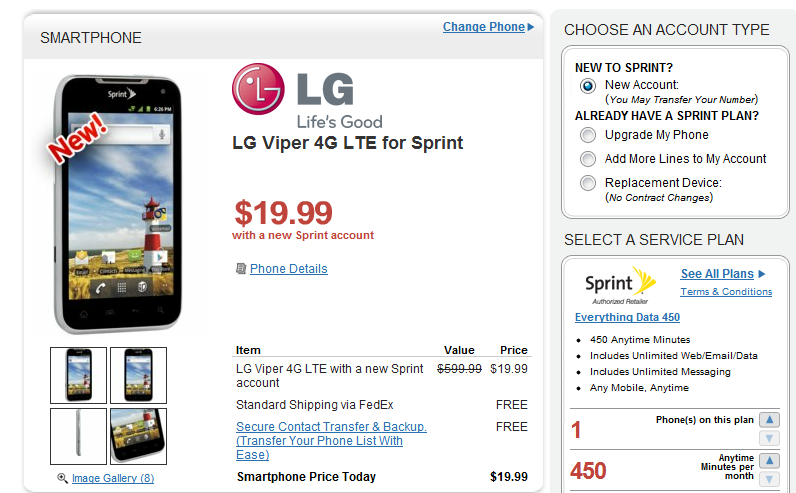 That's not the only new device to hit The Now Network today, either - the LG Viper and LG Optimus Elite also join the ranks of new offerings on Sprint. Although the Galaxy Nexus pre-order inventory sold out after only three days of availability, it looks like there are plenty to go around now. While the device is going for $200 with a two-year agreement on Sprint's site (and in-stores), Wirefly is currently offering it for $150 for both new and existing customers (with qualifying agreement, of course). If you're looking to save even more money, Wirefly is also offering the Viper at a lower price than Sprint: $20 for new accounts and $50 for existing customers. At the current time, the Optimus Elite available exclusively through Sprint's site for $30 after a $50 mail-in-rebate, so you'll have to hit that up if you plan on grabbing this little guy. [Weekend Poll] Do You Use Cloud Storage With Your Android?